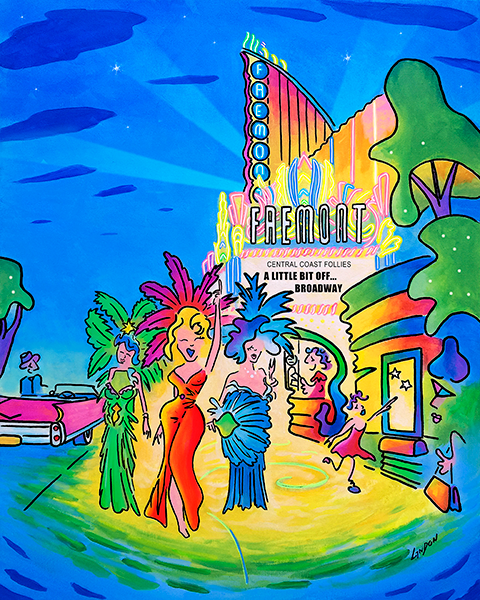 The Central Coast Follies is the fundraising arm of the CCPA. The Follies started with a small group of senior tap dancers led by the irreplaceable Dixie Parker, who wanted to put on a show at the new Clark Center. The first show was in 2003 and raised $7,500 to the Parkinson Alliance for research. Over the past 15 years, the Follies have raised over $369,000 for Parkinson research. The dancers work with choreographer Jason Sumabot throughout the year to develop this wonderful event. They pay for their own lessons, sell ads for the programs, find prizes for the raffle, and buy most of their costumes. Carol Walton, the CEO of The Parkinson Alliance has been an integral partner in this venture. This group was chosen as the beneficiary of the Follies due to their focus on research and their generous assistance with the Follies production. This year the show is moving to The Fremont Theater in downtown SLO. It is always held the first weekend of October. The show has evolved to be a musical variety show with live musicians and singers, dancers of all ages, costumes, comedy and more! Please join us!